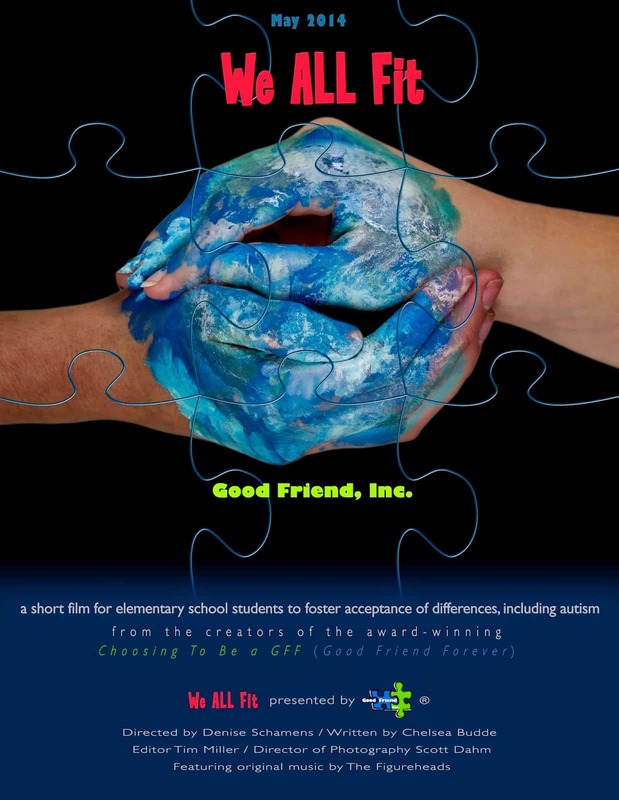 We at Good Friend, Inc., could not be more excited about the premiere of our latest autism peer sensitivity film, “We ALL Fit”! Never has one of our products been the culmination of so much research, collaboration, and experience. With careful consideration of the learning styles of intermediate childhood (ages 6-10), we put together a multimedia presentation that would meet learners where they’re at. With a Community Conversation about Meaningful Inclusion in Elementary School, we covered social emotional topics teachers and parents believed important. With a research study illustrating what students still needed to know after our services were delivered, we loaded this film with tools. We field tested and tweaked and tested again. We gathered feedback from students and teachers and researchers. And this is it. On Wednesday, May 28, from 6:30-7:30 p.m., nearly 250 people will assemble at the Marcus Majestic Theatre in Brookfield, Wis., to see “We ALL Fit“ on the big screen. We are currently registering cast and crew and their guests, but will open the event up to the general public in just six days. Registration will be required to procure a ticket, and a ticket is required for admission. There is no fee for the ticket. (Event sponsors such as AutoZone are offsetting costs. Sponsor opportunities are still available. Email chelsea@dev.goodfriendinc.com for more info.) Since the target audience for the film are students in K-5th grade, the event is meant to be family-friendly. Our cast and crew are encouraged to wear their finest evening wear to walk the red carpet. So if you want to go all out, too, feel free! How better to mark Mental Health Awareness Month than with a healthy dose of “We ALL Fit”?! Check out the music video this week, Children’s Mental Health Awareness Week, which now boasts nearly 16K views and more than 300 Likes. Use it to start a conversation in your class or family. And keep watching the blog all month for more information!